A digital flat file cabinet. Designed to simplify drawing distribution and improve supply chain management. Every account includes unlimited viewer access, meaning your content is completely accessible by everyone that needs access. No need to designate specific users as the drawing keeper. Your content should be everywhere you go and always up to date. The cloud infrastructure makes this possible. All data is stored securely using bank level security protocols. Easily access your content on the go with rich native mobile experiences including the ability to markup drawings. iPhone, iPad, and Android currently supported. Make your content easily accessible and linked to your original CAD content. Have a PDM system or planning to implement one? Flatter Files isn't a PDM system but with PDM integration it makes your PDM system better. Your drawings & documents. Everywhere you go. Flatter Files is a digital flat file cabinet for viewing and archiving your drawings and documents. It stores your content in the cloud such that you can access it on iPhone, iPad, and Android devices as easily as you can on any PC. You simply log in and all of your drawings are available. Search. For all of your drawings & documents. All of your drawings & documents on Flatter Files are searchable. 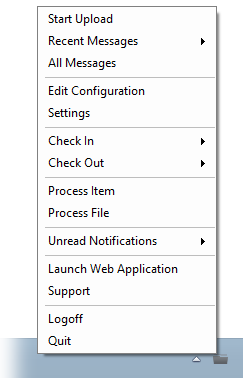 Simply enter a query and the matching items appear. All properties are uploaded such that you can simply enter description keywords in your query. Goodbye email attachments. Hello simplified supply chain management. Never email a drawing or document again. With Flatter Files you share a link with a password. No matter when they access the link, the latest version of each drawing will always be displayed. Saving you significant time, preventing costly revision mistakes, and improving supplier drawing management. 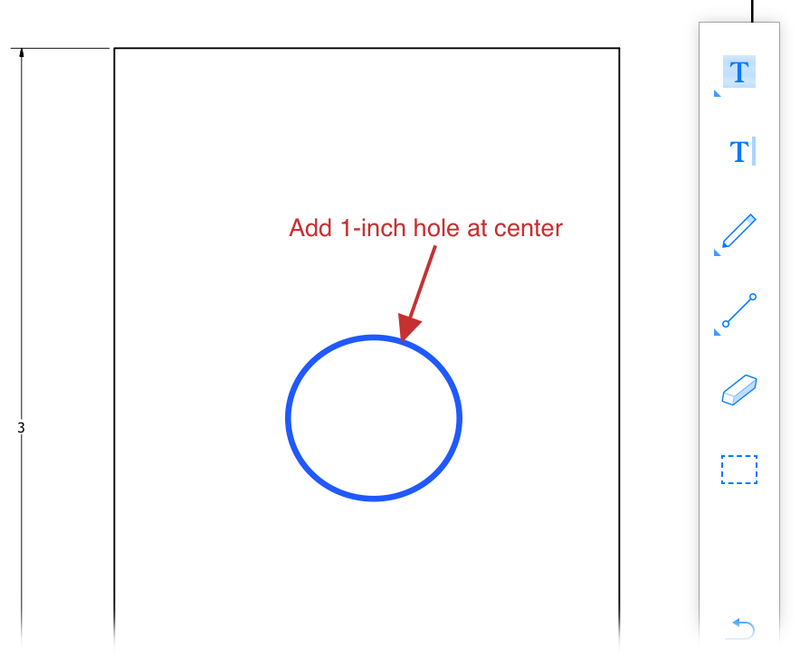 Flatter Files supports creating digital annotations for your drawings and documents on your mobile device. Once created, the annotations can be uploaded to Flatter Files and specific users can be notified automatically. This feature enables a fully digital workflow within your organization. Always up to date. Simple revision control. PDM Integration. To keep your content up to date, Flatter Files Uploader is installed on a computer that can access your content. This app uploads your drawings & documents along with associated data to the Flatter Files cloud automatically. The uploader application also optionally integrates with PDM systems. If using a PDM system, the resulting PDM revisions are automatically uploaded to Flatter Files when they are released. Viewers will never have to worry about whether they have the latest version again. All the drawings needed. In a single view. 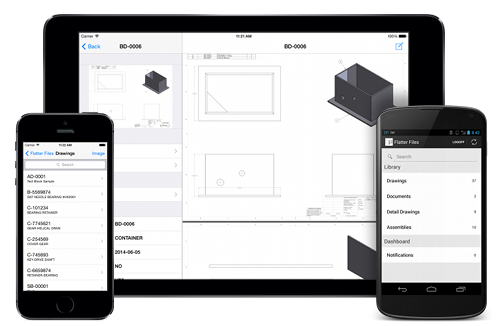 With Flatter Files you can group your drawings into an Assembly that matches the actual bill of materials. This can be done by simply dragging and dropping the drawings or automatically during the upload process if you are using 3D CAD software. Each time a drawing is modified the Assembly is updated as well. This results in an assembly hierarchy that always contains the latest version of the drawing. A Flatter Files trial account is for 30 days and requires a valid email address. Please enter your email address below. Once submitted, you will receive an email with a link to finish creating your account.